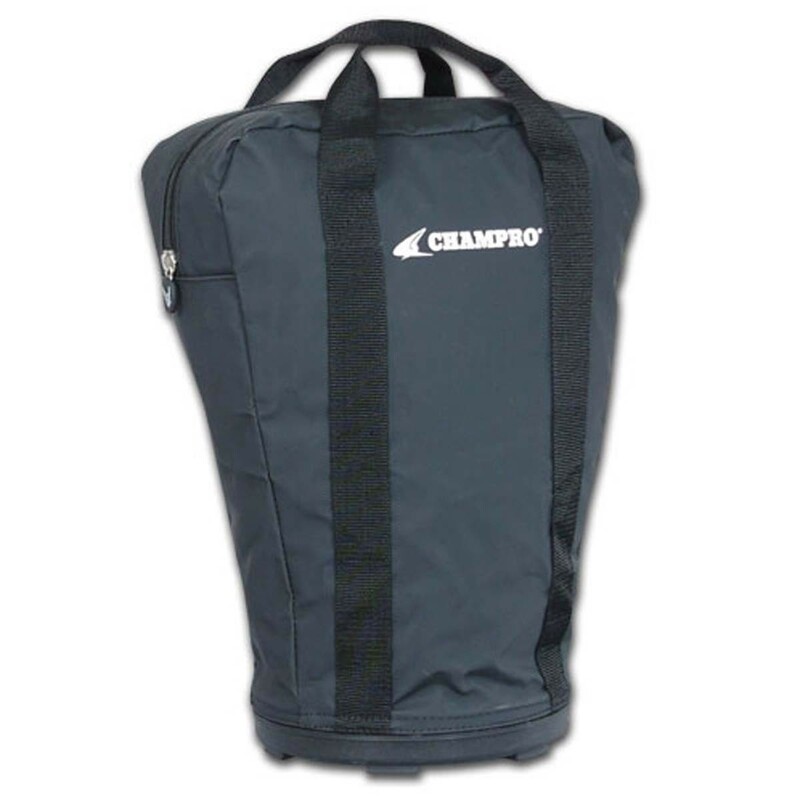 This Champro deluxe lacrosse ball bag is constructed of tough, waterproof coated nylon material. It has a hard 9" diameter bottom and measures 17" high. This deluxe bag holds 4 dozen lacrosse balls, has a zipper closure, and 2" web handles for easy carrying. This versatile ball bag can also hold up to 48 baseballs or 24 softballs.